Absolute Style Limousines offers the most exhaustive range of limo services that cover Crawley and the surrounding regions. Our wide ranging limo services include but not limited to wedding limos, airport transfers, anniversary, birthday parties, stag and hen nights, prom, promos, road shows, sightseeing tours and much more. As far as Absolute Limousines are concerned, you just need to share with us your limo hire Crawley requirements and we will take care of the rest. As a leading limo service provider in the region, we do not hesitate to go the extra mile to put a smile on our customers’ face. We keep the whole process of hiring your limo simple and straightforward. We understand our customers’ anxieties and concerns while hiring a limo better than any other service provider does and this enables us to provide you with highly satisfactory services. You will be 100% happy with your choice when you choose Absolute Style Limousines. Never again worry about having to deal with rude chauffeurs. We have friendly and polite chauffeurs to serve you with a smile. You will find our chauffeurs very obliging and helpful. Don’t you want to feel like a celebrity? Choose Absolute Style Limousine and our chauffeurs know how to make you feel like a star. We have top class limousines in our fleet that will help you make an impression. Here is your chance to arrive in style on your special day. Our limos will make your dream wedding a memorable one and it will serve as an excellent backdrop for your wedding photo shoots. If you need a striking limo for your product launch or for your road shows you will find exactly what you are looking for in our exclusive fleet of limos. Booking a limo in Crawley cannot get any easier. All that you need to do is to make a single phone call to share your requirements. Get customised written quote, you will know exactly how much it is going to cost you and no hidden expenses what so ever. We offer highly transparent and flexible service, which you will be impressed with. Birthdays, special occasions, wedding car hire, Christmas party nights in Crawley. A licensed chauffeur will accompany tastefully furnished limousines that ensure a luxurious and cosy ride. Our chauffeurs are CRB checked and we assure absolutely safe service. 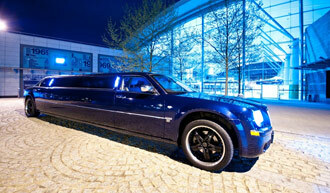 There is no need to waste your time looking for a better limo hire Crawley company. Our limo services are one cut above the rest. We strive hard to continually improve the quality of the services. We have impressive limos to meet your needs. We have the most successful formula for the best limo service in Crawley. We have been serving Crawley and the surrounding regions for several years now. You deserve to enjoy the best limo rides regardless of whether it is your wedding, prom or any other special day. You do not have to settle for substandard services any longer. For an excellent limo hire experience in Crawley choose Absolute Style Limousines and save on your every limo booking.